Kurt Holland wants the best for his younger brother, which is why he moves Sam to Bridgeport, Ohio. It's a bigger town with a well-known high school. Just the place to give his little brother more opportunities-maybe even a scholarship to college. Kurt hopes his gamble pays off, since Sam's future isn't the only thing riding on it. Kurt's put most of his savings into a new landscaping business there, too. But when Sam gets in trouble for fighting at school, Kurt isn't so sure it was the right decision ... until he meets Sam's English teacher. Emily Springer is passionate about helping all of her students succeed, but there's something about Sam Holland that makes her want to go the extra mile. When he's caught in a fight at school, she goes to bat in his defense, and during a conference with the principal she meets Sam's rugged older brother-and guardian. Emily has a strict no-dating policy when it comes to her students' parents, but Kurt isn't technically Sam's parent. It's OK to bend the rules a little bit, right? In an effort to make some friends and find a place in the Bridgeport community, Kurt starts up a weekly poker game in his garage. It's not long before everyone wants in, and they all soon discover that these Friday night poker gatherings are about more than just the game. 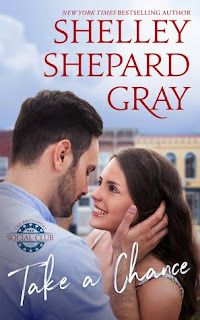 Shelley Shepard Gray's new Bridgeport Social Club series is about men who need a place to call home, a community in need of hope, and a group of women who are special enough to help both things happen. This first installment is genuine and heartfelt. It's filled with hope, warmth, and the belief that love and acceptance can overcome any tough situation. Kurt Holland is a man with very good intentions. He moves to the town of Bridgeport after taking guardianship of his seventeen-year-old brother Sam. When Sam gets into a fight in school, Kurt has to go and meet with his teacher. Meeting Emily Springer goes a bit differently than he would have expected. She is quite beautiful and he wonders how he can deal with being attracted to his son’s English teacher. Emily has always kept to her hard-set rile of never dating a student’s parent, but The all-too handsome Kurt is Sam’s brother, not his father. After running into Kurt at the supermarket, Emily decides to see where things can go between them. While Kurt and Emily test the waters of seeing one another, Sam and his new girlfriend contend with a very serious issue. This gives Kurt the difficult opportunity to test out his role as pseudo parent. Kurt’s biggest goal is to give Sam the opportunity to become prepared for college. This includes making difficult decisions that ultimately affect his relationship with Emily. Take a Chance is a warm read with several sensitive characters. Although a romance, I found this book a bit more focused on the angst that Sam and his girlfriend were contending with and the resulting consequences. There are other scenarios at hand, and that includes Kurt’s adjustment to living in a new town and fitting in with the community. There is a strong message of taking chances in this book, thus the title is quite fitting. I am not familiar with the author, but I would have liked to see the relationship between Kurt and Emily grow a bit more. Instead the story reached a sudden conclusion. Sadly, I turned the page thinking the book was moving on to the next chapter. But. It was just over. I would have liked to see a bit more of a resolution, but as this series continues with the next book in the series, All In, in February. Perhaps the stories will have a better sense of finality. Many thanks to Blackstone Publishing and to NetGalley for this ARC to review in exchange for an honest opinion. 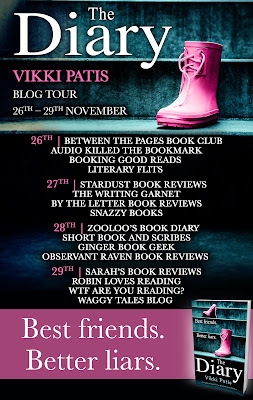 Today is my stop on the Blog Tour for The Diary by Vikki Patis. Lauren does the one thing she never, ever wanted to do. She responds to her father’s plea to visit him. Lauren had left her home in Hitchin years ago after her best friend Hannah committed suicide. When Lauren left, her friend’s loss was only one of the bad memories that she was escaping. It is the tenth anniversary of Hannah’s death and Lauren is reluctantly reunited with her friends from school. Not only are they all hiding secrets, they begin receding terrifying and threatening text messages. 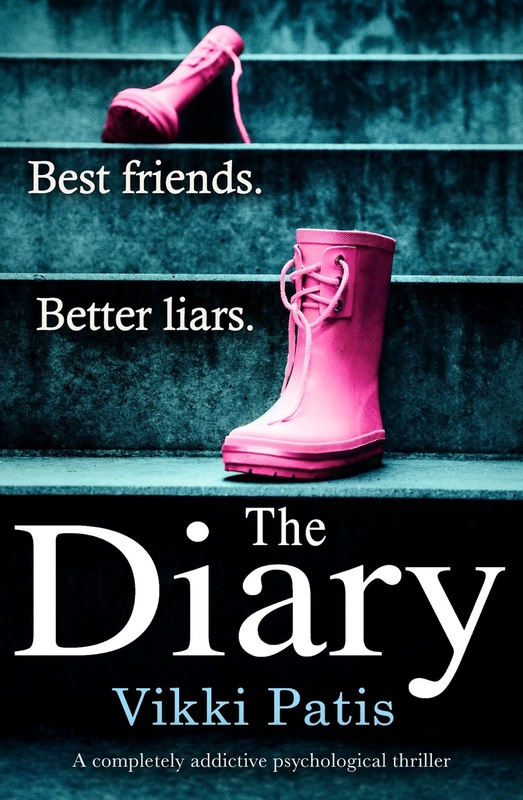 Shockingly, Lauren unearths a diary that Hannah had hidden. This diary, coupled with the messages, are certain to topple over the careful world Lauren has built. She really thought her carefully constructed life could erase the tragic memories of her past. 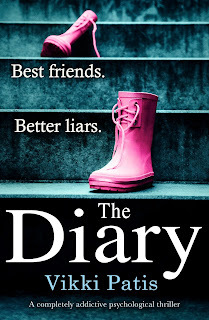 The Diary is delivered from Lauren’s first person point of view and is told in both the present and the past. Her story reveals how she and Hannah got to know on another and in so doing details much about the angst-ridden young life that she and Hannah experienced. The tragic reasons and result of this teen suicide is sadly recounted. While Lauren’s past is replayed, the circumstances involving her high school friends and their lives then and now are presented and is more than often quite tragic. I found The Diary to be a compelling read. Not only is the story very tragic, it is rather thrilling with a definite edge of danger to Lauren and her former friends. It was very sad to see that Lauren’s memories of Hannah were even more dismal than she ever had imagined. It was also rather shocking to see the secrets and lies this group of young people shared while growing up, all while presently trying to bury such an awful past. It was indeed quite a mystery to imagine whoever could have been sending the horrible text messages and I was on the edge of my seat truly wondering if Lauren or any of the other characters that made up part of the group of people would experience even more tragedy. To discover that the author, Vikki Patis, is a debut writer was a true delight. She has a very persuasive manner of writing that kept me riveted to this story. It was well-paced, well-written. It is of interest to note that the author explains at the end of the book that she herself dealt with some similar experiences while she was growing up. Of course, this adds a touching sense of realism for her own life’s experiences to be fictionalized as she has done here. 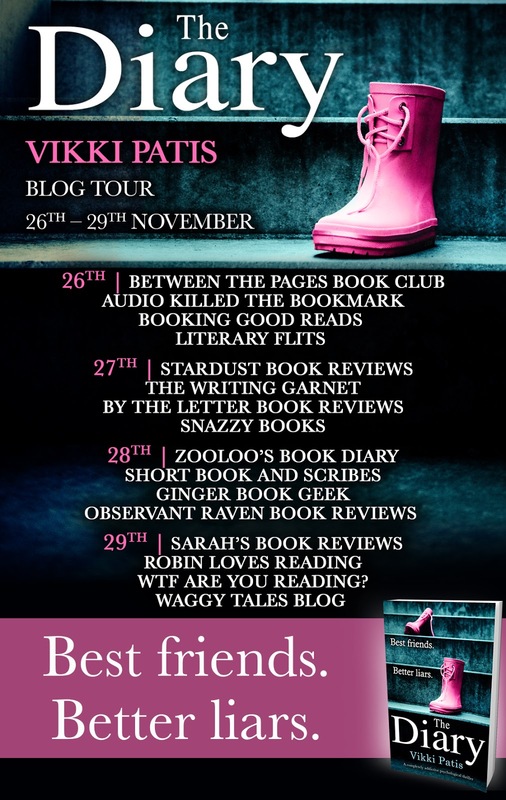 Vikki Patis is definitely an author to watch. An Amish midwife and an Englisch doctor must embrace their differences to rescue a baby in need in this uplifting romance that will "capture your heart and leave you smiling" (Amy Lillard). The more Leah Stoltzfus works with the handsome Englisch doctor, the more she finds herself caught between the expectations of her family and her own hopes for the future. It will take one surprising revelation and one helpless baby in need of love to show Leah and Kyle that their bond may be greater than their differences... if Leah can find the courage to follow her heart. Having just read The Amish Teacher's Gift, there was no doubt in my mind that this would be an incredible story. I definitely was not disappointed. Dr. Kyle Miller gets an unusual phone call from his Amish hometown in Pennsylvania. The town’s doctor is offering Kyle his home and entire medical practice as the aging doctor wants to retire. As incredible as this offer is, Kyle has several sincere reasons to decline it. Reluctantly, Kyle agrees to take time out of his demanding schedule to spend a few days working with the other doctor. There are many problems Kyle is faced with while making this difficult decision. For one thing, he had a tragic past there and can truly never, ever imagine making that place his home again. However, the doctor is pressing him, and Kyle has a lot of trouble simply saying no, although he cannot bring himself to saying yes. Leah Stoltzfus is an Amish midwife in training. She is more than overwhelmed at the moment. In addition, she is running her family’s store, studying and courting a man named Ben. Leah finds herself in the company of Kyle while dealing with patients during his visit. She is truly perplexed. In part, she has a secret that she is keeping from Kyle. Worse than that, she is quite drawn to him. She is thoroughly confused. He is Englisch, for one thing, and this is against her Amish ways, there is something that she is dreading telling him, and there is the fact that she is courting Ben. As stated, I read the first book in this series just previously. I am now familiar with the incredible talent that inspirational romance writer Rachel J. Good has. Her stories are multi-layered, sensitive and sweet. Her books are very well researched and her writing style is impeccable. This is a very engaging story and had a wonderful conclusion. Not only do I definitely want to continue with this series, I now want to go back and begin the Sisters and Friends series as well. Although this book can do well as a standalone, it is the second in a series and is connected to other stories. Rachel J. 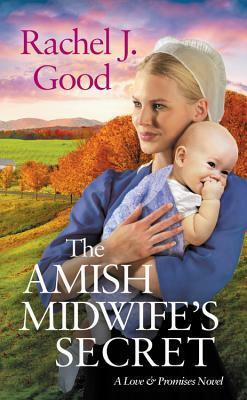 Good grew up near Lancaster County, Pennsylvania, the setting for her Amish novels. A former teacher and librarian, she completed her MA from Vermont College while raising five children. She is presently an MFA student at Hollins University. 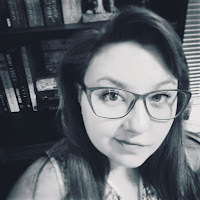 In addition to having more than 2300 articles and 40 books in print or forthcoming under several pseudonyms, she also juggles freelance editing and illustration careers. First a kiss. Then a dance. Then a promise for a waltz at every ball during the coming Season. How did it all start? It is Christmas at Brambledean Court and Alexander Westcott, Earl of Riverdale, has invited quite a few family members to enjoy the festivities immediately after the wedding of Viola and Marcel. If you have read the previous stories in the Westcott Series you will be familiar with other newly marrieds, Anna and Avery, Camille and Joel, Alexander and Wren, as well as a host of other relatives. During the first several chapters, the author explains how everyone is connected. Colin Handrich, Lord Hodges, is twenty-six years old, and is Wren’s brother, who is now married to Alexander. Colin has quite a fondness for Elizabeth Overfield, Alexander’s sister. Elizabeth is nine years Colin’s senior. If not for her age, Colin can easily see himself falling in love with her. She is the most beautiful woman he has ever met. He sees her down to her very soul. Elizabeth wants to be happy. After all, she just witnessed the wonderful wedding of Viola and Marcel. And, it is the holidays, yet Elizabeth is rather melancholy and bit depressed. Elizabeth thought she had at one time found the love of her life. However, it was a marriage that was mostly miserable and her husband eventually died due to his drinking. Elizabeth is truly happy for the bride and groom and hopes from the depths of her heart that they find true contentment and joy forever. However, she is sadly filled with envy and loneliness. While observing the four recently married couples over the past two years and noticing their incredible happiness, Elizabeth wonders if she herself should remarry. After all, she has had offers. If she married for the sake of companionship, would she be able to stave off her loneliness? Colin also wonders about marriage. He has a title and wealth, and he knows that he must soon search for a bride. During their time with the family at the holidays, Colin feels quite drawn to Elizabeth. He jokes to her that perhaps they should marry. She looks at him in shock. They suit in temperament, likes and attraction. There is an obvious problem, however, their age difference. The ton would never stand for it. As the Season approaches, Colin and Elizabeth have much to look forward to. At the very least, it is the promise to dance the first waltz at each ball. Meanwhile Elizabeth has been contemplating a previously made offer for marriage. Colin begins to observe the young women present and wonders which of them might make a bride for him, someone that he can love. He will accept nothing less. This fifth book in the series is rich with wonderful, happy characters that make a large blended family. We are re-introduced to a character from a previous book who is not so wonderful but does have a role that affects the decisions that Colin and Elizabeth eventually must make. Someone to Trust is a truly wonderful love story. 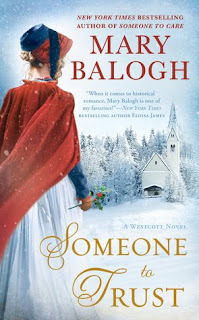 Mary Balogh tells this tale quite beautifully and it is very easy to fall in love with the main characters. 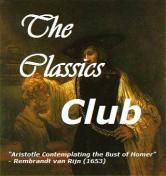 It is delivered in a great fashion and makes a perfect companion to the previous titles. I definitely look forward to future books in this series. Many thanks to Berkley Books and First to Read for this ARC in exchange for my honest opinion. I grew up in post-war Wales as Mary Jenkins. It was in many ways an idyllic childhood even though Swansea, my home town, had been heavily bombed during the war, rationing was still on, and material possessions were few. If anyone knew how to stretch a penny to do the work of two, it was my mother. My sister, Moira, two years older than I, was my constant playmate and soul-mate. We both have a hard time convincing people who did not know us then that we were almost inseparable yet never quarrelled. Our few dolls became our family. They had names, personalities, histories. We used to lie awake in bed at night–until our mother would call up, promising dire consequences if we did not stop talking–inventing stories about our dolls’ antics. On summer days Mam would construct a tent out of blankets, string and clothes pegs attached to the clothesline and the garden fence, and we would play “house” all day. The neighbours must have cringed when we took our dolls for walks in the strollers Dad made for us, complete with solid–and excruciatingly noisy–wooden wheels. Moira and I both used to fill notebooks with stories. We read voraciously–especially every book of Enid Blyton’s we could get our hands on when we were younger, the classics when we were a little older. We both used to say that we wanted to be authors when we grew up, though the word we used then was authoress. We both fulfilled our dream, though we both financed it with careers as high school English teachers. 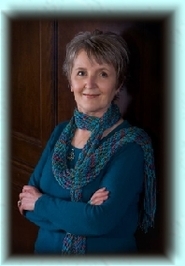 Much more about this talented author can be found on her website at: http://www.marybalogh.com. 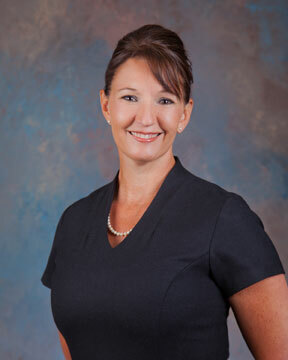 Charity Penn, called Penn by her friends, is a relatively new resident to the town of Camellia Beach. She is now the owner of the Chocolate Box, which serves the world’s richest chocolates and some people are not happy about that. These include her estranged family and at least one of the town’s residents, Jody Dalton. One night the town gathers to witness a batch of baby sea turtles hatching to in order to watch their journey into the ocean. However, while are approaching the ocean, they hear gunshots. A man is dead. His name was Cassidy Jones and he was the local Casanova. Oddly enough, Jody Dalton, the same woman that threatened to destroy the chocolate shop, is seen wielding two guns. It seems quite evident that she is the killer. The woman’s son begs Penn to prove that his mother is innocent. What a task! This is not the first time that Penn has become involved in a murder investigation. As she begins to ask questions, much to the annoyance of the local police, it becomes quite possible that Jody is not the killer. Well, why did she have the guns in the first place, and if she is indeed innocent, who was it that killed Cassidy? There is more going on than the murder. Turtle eggs on the beach are missing and chocolate turtles are being stolen from Penn’s shop - very expensive chocolate turtles. Meanwhile, there is a lawsuit pending against Penn and her shop is in a state of disrepair. So with quite a bit facing Penn, along with her attraction to her neighbor, she seeks to divide her time in order to find answers. She has put herself in danger due to her actions. In this fast-paced story there are a lot of questions that need answering. 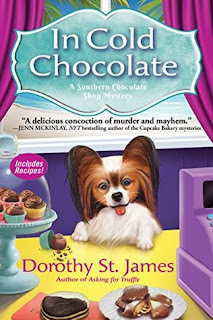 Dorothy St. James does a great job at pulling many of these things together while capturing the readers’ attention, but there are some things that we are left to look forward to in the next book in the series. Many thanks to Crooked Lane Books and to NetGalley for this ARC to review in exchange for my honest opinion. Mystery author Dorothy St. James was born in New York but raised in South Carolina. She makes her home on an artsy island community in South Carolina with her husband, a crazy dog, and fluffy cat. Though writing has always been a passion for her, she pursued an undergraduate degree in Wildlife Biology and a graduate degree in Public Administration and Urban Planning. She put her educational experience to use, having worked in all branches and all levels of government including local, regional, state, and federal. She even spent time during college working for a non-profit environmental watchdog organization. 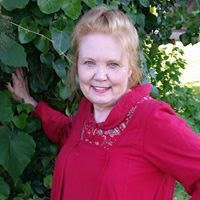 * Dorothy St. James is the alter-ego of award-winning multi-published author, Dorothy McFalls. She enjoys writing in several different genres. Her works have been nominated for many awards including: Romantic Times Reviewers' Choice Award, Reviewers International Organization Award, National Reader's Choice Award, CataRomance Reviewers' Choice Award, and The Romance Reviews Today Perfect 10! Award. Reviewers have called her work: "amazing", "perfect", "filled with emotion", and "lined with danger." Why is it that Julian Grayson refuses to except Charlotte Clark’s offer to pay for a cup of coffee? That is what Charlotte is wondering. She tells him that she doesn’t want anything from him, maybe he can just pay it forward. But with Julian‘s experience nothing is as simple as that. He is sure that she has an ulterior motive. In all actuality, she does. 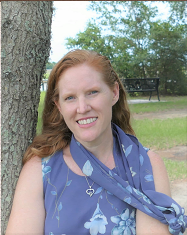 Charlotte is a social worker dedicated to helping people find work and to get on their feet. When she sees Julian she erroneously assumes that he is down and out and the very least she can do is to pay for his coffee when he apparently doesn’t have any money. She offers Julian her business card and tells him of an upcoming opportunity. What Charlotte doesn’t know is that Julian is staying under the radar as he has become disenchanted in his career as a drummer in a very successful band. He is taking time off because he has suffered a humiliating betrayal from a cheating girlfriend and spending time in a different location. Julian feels very strongly that his career as a musician is over because of the ruination of his relationship. Though not sure why, he takes Charlotte up on her offer for work one afternoon. The question is, how long will Julian allow Charlotte to believe that he is in a bad financial strait? Meanwhile, Charlotte is confused by her attraction to Julian. She has always been able to maintain professional attitude with everyone that she has assisted in her years in her career. But Julian draws her in a way difficult for her to ignore. 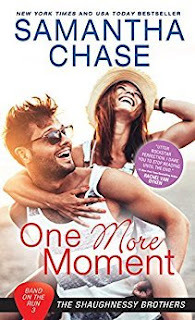 One More Moment is the third book in the Band on the Run series. I have not had the opportunity to read the prior two books but I was very drawn to all the characters in the story. The dynamic was made quite clear so this book does well as a standalone. I loved the motivations of the characters. Charlotte is the ideal heroine. She is loving, kind, and unselfish in every way. Julian is broken, and is genuinely a good man. His reasons for wanting to step away from his band are clear, but their love and concern for him opens the door for his future. Between his bandmates and the tender relationship that blossoms between him and Charlotte, the future before the two of them is lit with a bright light. Samantha Chase has penned a tender, engaging love story. The conflict between Charlotte and Julian was very good convincing, yet offered wonderful hope. I also enjoyed the clean sensuality of their relationship. It is great to read stories that are not exceptionally explicit. Many thanks to Sourcebooks Casablanca and to NetGalley for this ARC to review in exchange for my honest opinion. Just then he stood and took her hand in his and—holy crap. His hand was huge and warm and it completely wrapped around hers. Charlotte knew she wasn’t a particularly petite woman, but this man certainly made her feel that way. Julian didn’t release her right away and when he did, her fingers grazed his palm; his skin was rough. She had to wonder what it was he used to do for a living. Liar. You’re curious how that rough skin would feel on other parts of your body. He didn’t respond other than to say, “It was nice meeting you, Charlotte,” and then he turned and walked down toward the beach. Part of her wanted to follow him and see where he went. He certainly wasn’t dressed for the beach—not that there was a required wardrobe or anything—but she was still curious about what his story was. Walking over to a trash can, she tossed her cup and bag and walked closer to the steps leading down to the sand to watch him for a little longer. He was heading down toward the more residential side of the beach. She looked down and sighed at the sight of the houses. They were magnificent but frivolous, she thought. All that money could go to so many other things—things that would help the less fortunate. Then again, wouldn’t she love to wake up to the sound of the waves every day if she could? The answer was a very enthusiastic “Hell yes!” So really, who was she to judge? For all she knew, the owners of those houses donated to charity and did volunteer work in their spare time. Just because she couldn’t personally afford to live in that kind of luxury didn’t mean she should begrudge those who could. With her eyes still down on the sand and watching Julian in her peripheral vision, she gasped when he stopped and turned around and seemed to look right at her. It wasn’t really possible to tell from this distance, but she could almost swear he was smirking—as if he knew she’d still be standing there watching him. While it would have been easy to pretend she hadn’t seen him and turn and walk away, she couldn’t make herself move. And when he started walking back toward her, she knew she definitely couldn’t walk away. Had he changed his mind about the bus fare? Did he have a question about accepting her help in finding work? He quirked a dark brow at her and she realized how that sounded—especially since she had been watching him. Relief washed over her. He wanted her help. He trusted her. She’d only said she had to leave earlier because she didn’t want to push or overwhelm him. There were still many hours until she had to leave for work. Ooo…walking with her toes in the sand was her second-favorite thing to do, after listening to the sound of the waves. Not wanting to sound too giddy, she shrugged. “Sure. That sounds fine.” This was just like one of her interviews, except it was the first time she was conducting one while doing one of her favorite things. It felt odd and yet…right. Julian motioned toward the steps and they climbed down. At the bottom, Charlotte slipped off her sandals and stepped into the sand. Her hand almost flew over her mouth when she realized she’d made the sound. How professional of it was her to be making noises like that? Okay, that wasn’t what she expected, but she was more than willing to talk to him about it if it meant he was going to trust her. They strolled at a leisurely pace, and Charlotte knew she had to wait Julian out. If he was going to share anything about himself, it would be when he was ready. She went for idle conversation—the weather, the number of people on the beach, that sort of thing. As they got closer to a cluster of houses, she couldn’t help but sigh. “You know, the ones with private beaches that cost probably ten million dollars and you’re not allowed to look at them because you’re not rich enough,” she said with a laugh. When Julian didn’t respond, she figured he probably felt the same way too, but it wasn’t something that was of any real concern to him. “So, what about you?” she finally asked, her curiosity getting the better of her. “What about me?” he asked slowly, quietly. They kept walking, but Julian looked straight ahead without uttering a word. Okay, message received; he wasn’t ready to talk about it yet. With almost fifty titles currently to her name, she has no plans to slow down. You won't find her books with the erotica or paranormal titles, all of her works are pure contemporary romances. When she’s not working on a new story, she spends her time reading romances, playing way too many games of Scrabble or Solitaire on Facebook, wearing a tiara while playing with her sassy pug Maylene…oh, and spending time with her husband of 25 years and their two sons in North Carolina.